Well this certainly sounds cool. Deck-building game designers Cryptozoic games are creating a new game based on Arkham City. In a cool twist, the game will cast one player as the caped crusader, and the other as all of his enemies, and they'll duke it out for control of Arkham City. Using cards, in the Batman tradition. One player takes on the role of Batman, and the other player is in command of Batman's Rogues Gallery! No two games play out the same, as the villain player uses a random assortment of villains each time. 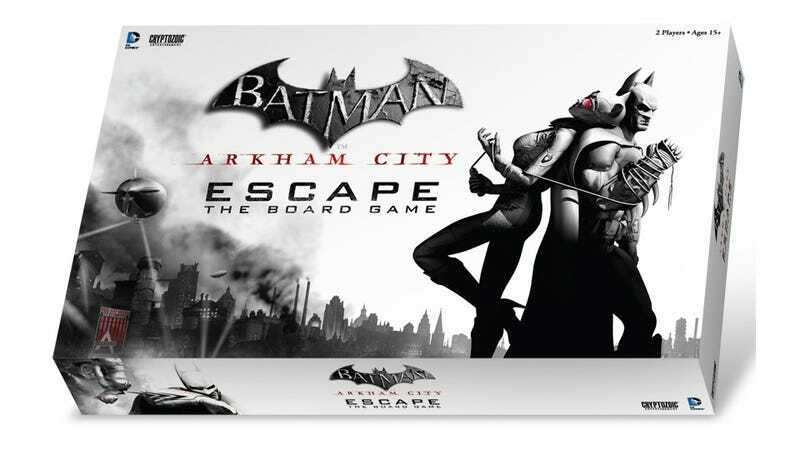 Arkham City Escape will be out in February 2013. You can find out more about the game, along with some close-up images of a few of the cards, over at Cryptozoic's site. This all sounds good to me. I hope there's a shark card.